The Reference Shader provides the possibility to reuse shaders in different channels and materials. You will no longer need to perform time-consuming multiple copy and paste operations after each adjustment of shaders. Any changes of the source shader are automatically applied to every linked Reference Shader. The whole user interface for creating and handling Reference Shaders is integrated in the CINEMA 4D material editor. 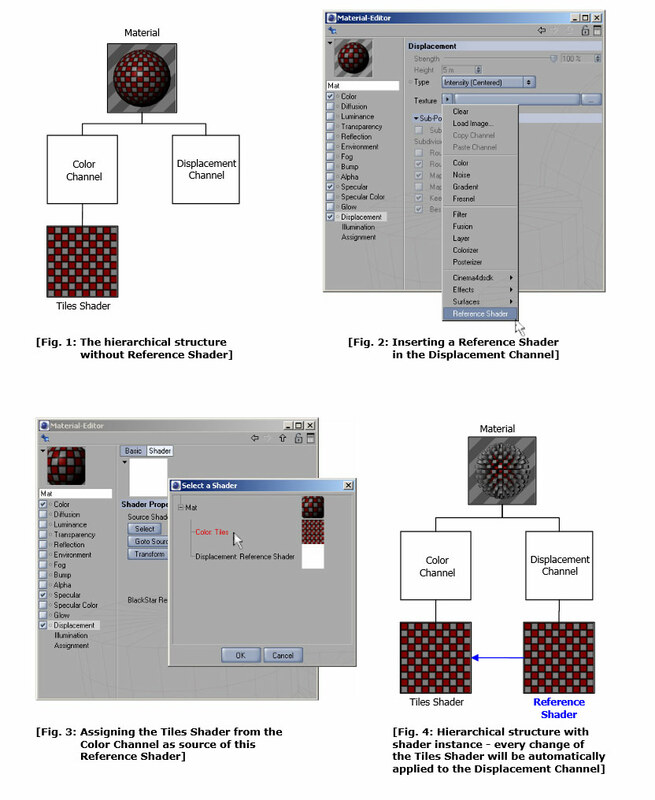 By selecting a material you can create a new Reference Shader just like a common texture within an arbitrary channel. 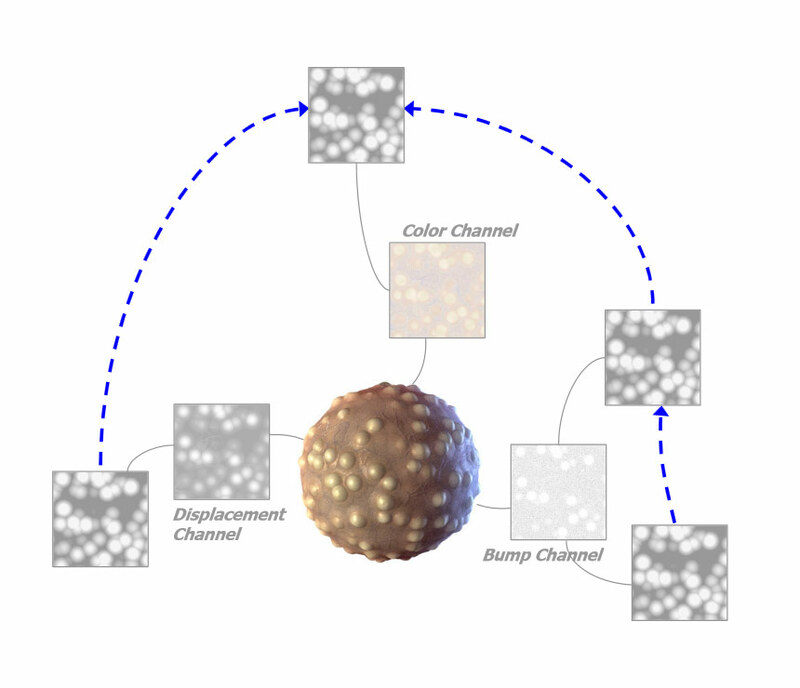 By using the Reference Shader you can easily achieve automatic adaptation of the bump and alpha channel when changing only the appearance of the shader in the color channel. You can even save more time and effort by nesting shader references. Download the manual for more detailed information on the plugin.